Did you know that more than 80 percent of Americans have periodontal disease or gum disease? Often it goes untreated either because the patient doesn’t feel any discomfort and skips the dentist or because his regular physician doesn’t pay any attention to oral health. However, healthy gums and teeth play a vital role in your overall health. Recent studies have shown that oral health and heart disease are connected in some unexpected ways. There are two important things to know about your oral health and its connection to your overall health. Research indicates that patients with moderate to advanced gum disease have a higher risk of developing heart disease than patients with strong, healthy gums. Additionally, your degree of oral health may be symptomatic of other conditions and issues within the body, giving warning to doctors who know what to look for. Most people know that inflammation of the gums is caused by bad bacteria. Bacteria gets trapped between your teeth and gums and starts to fester and multiply. If you don’t properly clean your teeth and mouth, this bacteria can lead to gum disease and other major dental issues. What you may not know, however, is that this bacteria can enter your blood stream and spread to other parts of your body. If bacteria from your mouth reaches your heart, it can create inflammation. Left untreated, this can lead to endocarditis (infection of the inner lining of the heart) or atherosclerosis (clogged arteries), among other things. The bacteria can also cause inflammation in the blood vessels, which can lead to a stroke. 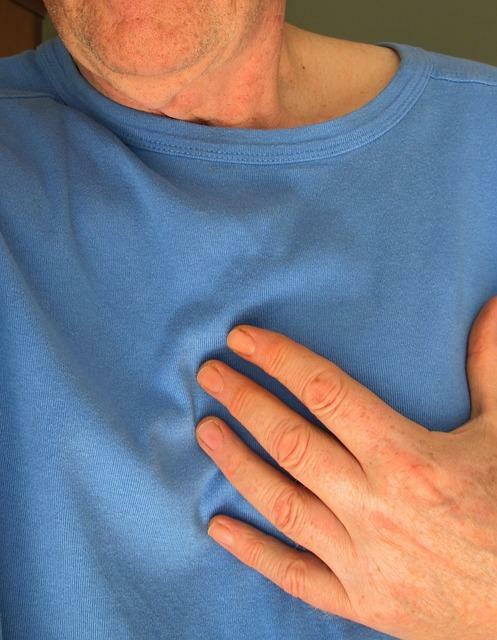 In general, any patient with poor oral hygiene is at risk of developing heart disease. Even if the gums are not noticeably inflamed, the accumulation of plaque can eventually lead to infection and the spread of bacteria. People who suffer from chronic gum conditions, such as periodontal disease or gingivitis and don’t take the proper measures to manage it, are at an even higher risk of developing heart disease. As always, developing and maintaining a good oral hygiene routine is one of the best things you can do to fight against gum disease. Brush twice a day with a dentist-recommended toothpaste and floss daily. Additionally, make sure you visit your dentist regularly. They will help monitor your gums and advise you on the best way to keep them healthy. Keeping your gums healthy and strong, can help you avoid heart disease caused by bacteria found in your mouth.